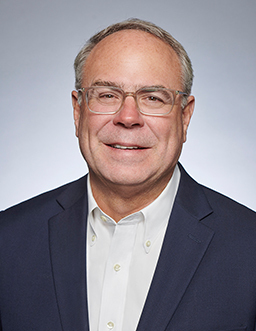 Mr. Lamp serves as Chief Executive Officer, President and a Director of the general partner of CVR Refining, LP, as well as Chief Executive Officer, President and a Director of CVR Energy, Inc. and the Executive Chairman of the general partner of CVR Partners, LP. Mr. Lamp has more than 37 years of technical, commercial and operational experience in the refining and chemical industries. He previously served as President and Chief Operating Officer of Western Refining Company. Prior to Western Refining, Mr. Lamp was President and Chief Executive Officer of Northern Tier Energy Corporation, which merged with Western Refining. Previous to that, he served as Chief Operating Officer and Executive Vice President of HollyFrontier Corporation. In 2011, Holly Corporation and Frontier Oil completed a merger of equals and changed their name to HollyFrontier Corporation. Mr. Lamp joined Holly in 2004 and held various roles, including Vice President of Refinery Operations, Executive Vice President of Refining and Marketing, and President. Mr. Lamp graduated from Michigan State University with a Bachelor of Science in Chemical Engineering. He also serves on the Board of Directors for the American Fuel & Petrochemical Manufacturers Association and is a past chairman.